If you’re not leveraging influencers as part of your marketing strategy, you’re missing out on a seriously effective way to build your brand. Consider that 92 percent of consumers trust recommendations from personal connections, but only 33 percent trust ads, according to Nielsen. But how does an influencer marketing newbie get started? You need to identify the right influencers for your brand, define the relationship, set goals and pay rates and measure the results. How? Where? With what? 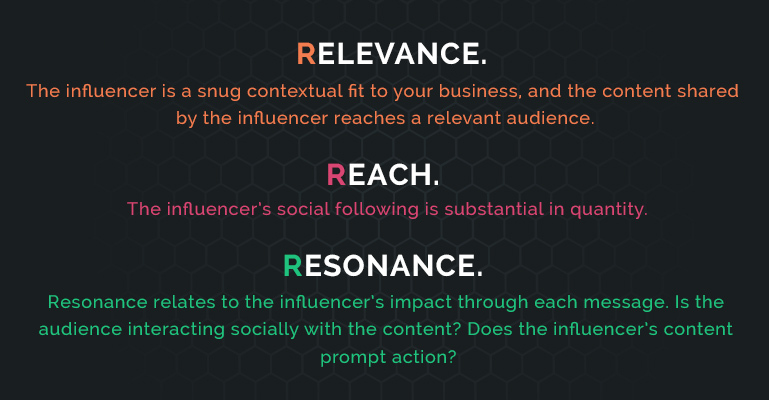 For starters, look at three things: relevance, reach and resonance. Twitter is probably the best and most widely used tool to determine social relevance. It’s the quickest way to see a snapshot of someone’s social reach and editorial prowess, and it’s the primary channel on which creators are sharing their content today. The ClearVoice Content Studio enables you to discover relevant voices for any keyword. You can review where their content is being published, how frequently they create content and the social metrics of each piece of content. Updated in real time, the search includes an index of more than 300,0000 influencers. Followerwonk from Moz is another great tool that enables you to easily search for and compare Twitter influencers in your niche. Use Klout in tandem with Twitter to identify socially relevant individuals. The Klout Score is derived from combinations of attributes, such as the ratio of reactions you generate on social compared to the amount of content you share. LinkedIn finds industry-relevant matches with its “search by industry” function — plus, you can review personal networks and see if people are LinkedIn publishers. Also keep in mind to further investigate and vet any influencer. Avoid falling for someone with fake followers or who employs sketchy methods to earn them. Now that you’ve identified the characteristics of your ideal brand influencers, the next step is to define how you want to work with them. There are multiple ways you can leverage an influencer, from content creation and endorsements to co-marketing and amplification. for short- and long-form blog posts, interviews, multi-author posts and video interviews. Product or website endorsements. If an influencer has used your service or product in the past, ask for atestimonial. Co-marketing. Co-marketing is when two or more entities market together, and the entities both benefit from shared brand awareness, audience and results. Some examples of co-created content include studies, infographics, ebooks, Twitter chats and webinars. Content amplification. Ask influencers to share your content on their social channels. But remember: Before you ask influencers to share, establish what’s in it for them (more on that below). Define payment. There are multiple ways to incentivise influencers, whether it’s through actual payment or non-monetary incentives. If your company does not have the budget to pay influencers, relay intangible benefits like gaining a new community of followers, adding publisher power, capitalizing on your website’s “X” visitors, and thought leadership. Without a budget, you can also barter with an influencer by trading services or goods or co-marketing. Social media promotion. Don’t forget to let influencers know when their content goes live, so they share it on their own networks. Also, get more life out of influencer content by periodically reposting the content long after it originally appears. Community forums and resource guides. Social community forums, resource guides and online communities can also create a longer lifetime value of influencer content. Sites like Reddit, Quora, LinkedIn groups and resource guides are all important channels to communicate in. But remember: Don’t just post the link. Add context to foster conversation. Long-form content. Group together influencer content for a long-form piece such as an ebook or white paper. Email series. Another great way to extend the life of influencer content is to promote it through email. Make sure to include links, so subscribers can share easily. Got all that? 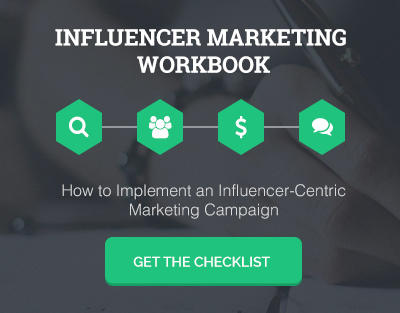 Now download our influencer marketing workbook to make sure you hit all these points.